Bolt Thrower to Play Exclusive UK Show – Burning Fist! February 3, 2014 • Burning Fist! Today, Damnation Festival have announced their first headliner for the 2014 edition of the UK one day festival. 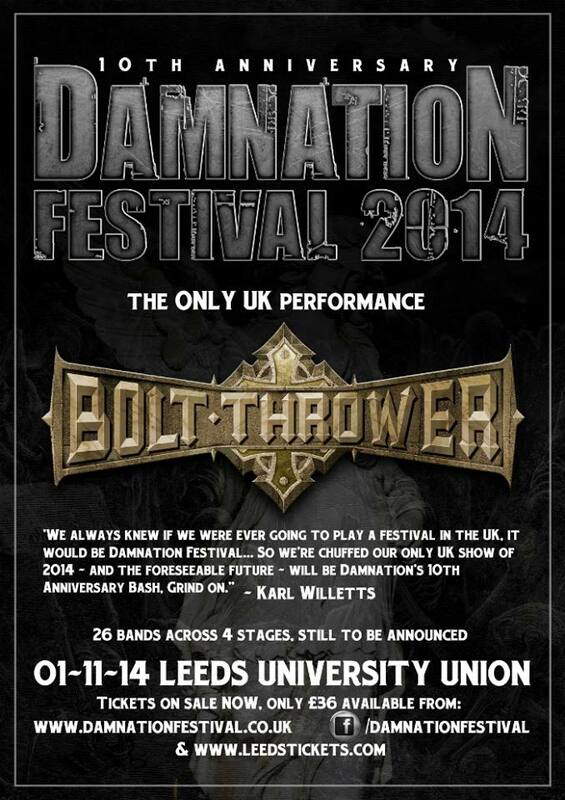 Death metal titans BOLT THROWER will play their only UK show of 2014 headlining Damnation Festival. The Coventry quintet, who haven’t performed on home soil since selling out London’s Forum in 2012, will play the Leeds event on Saturday, November 1, in their only UK appearance for the “foreseeable future”. The one-off performance – which will also mark the first time Bolt Thrower have ever agreed to appear at a British festival – will be a highlight of Damnation Festival’s 10th anniversary celebrations, with at least 26 more stunning additions to be added across four stages. Damnation Festival director Gavin McInally added: “In 2005 we asked Bolt Thrower to play Damnation Festival and there hasn’t been a year that’s passed since that we haven’t sent a hopeful enquiry their way so it’s with massive relief and delight that we’re able to announce our absolute first-choice headliner for Damnation Festival. I (Riotus), for one, am absolutely over the moon for this announcement – November will not come soon enough! 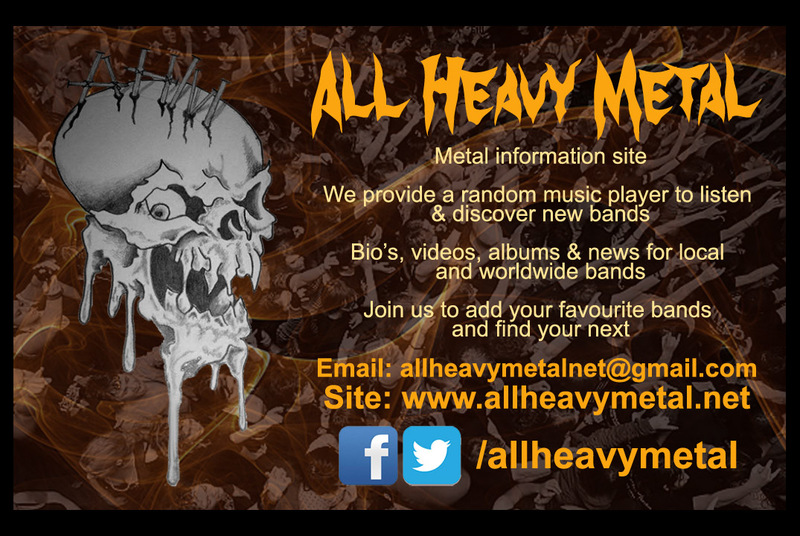 Posted in Metal NewsTagged Bolt Thrower, Damnation, Damnation Festival, death metal, Exclusive, Festival, Grind, metal, metal news, News, UKBookmark the permalink.